It started with a phone call he almost didn’t answer. 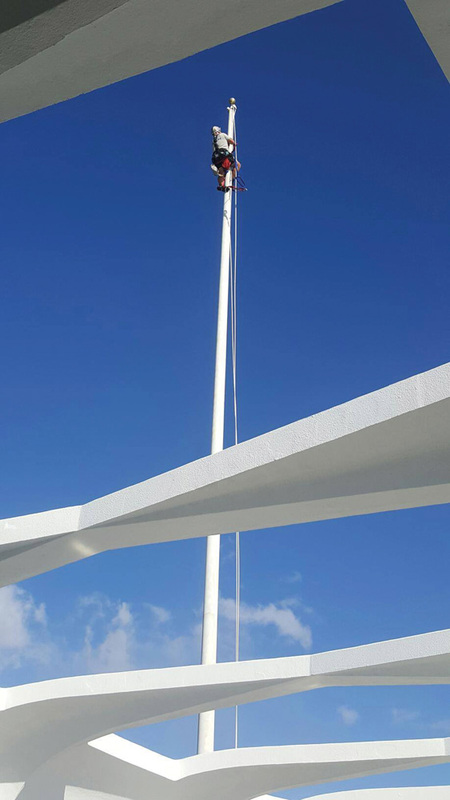 When John Hamrick did finally pick up, it was the National Park Service asking if he’d be interested in repairing the flagpole at the USS Arizona Memorial in preparation for the 75th Commemoration ceremonies. Hamrick’s father was in the U.S. Navy during the attack, and Pearl Harbor meant a lot to him. “It sent a chill down my back, and tears began to flow. I asked ‘How did you find me?’ It was my YouTube video!” he recalls. A retired firefighter from Fort Wayne, Ind., Hamrick would regularly volunteer his services to respond to disasters, such as hurricanes and after the Sept. 11 attack. Along the way, he happened to get into repairing flagpoles. After discussing it with his team, Hamrick decided donating his services was the right thing to do. He set up a GoFundMe page to help cover some the expenses, normally up to $8,500. 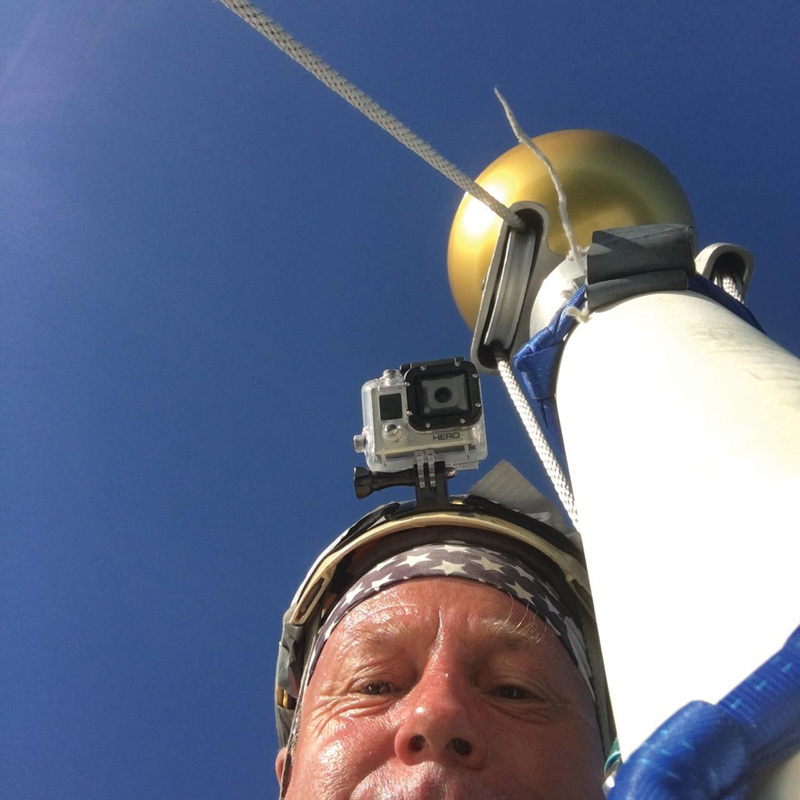 Along with his best friend Lee DeLaBarre and Julie Holle from Martin’s Flag Shop, the group replaced the top of the flagpole with a new truck assembly and a 10-inch ball in two hours on Sept. 7.